Darius Himes and Mary Virginia Swanson will be offering a limited number of 1 hour private project consultations on Sunday, July 31st and Monday, August 1st. Consultations will be held at the San Francisco Mariott Marquis. Also, on Monday evening MVS and DH will be giving a presentation at SF Camerawork; click here for details. Notes: PRIVATE CONSULTATIONS with DH/MVS to discuss your publication projects. Limited availability; appointments will be held Sunday and Monday and will remain open until filled. Darius Himes and Mary Virginia Swanson will be offering a limited number of 1 hour private project consultations on Sunday, July 10th in the afternoon and Monday, July 11th. Consultations will be held at the Le Montrose Suite Hotel in West Hollywood. Also, on Monday evening MVS and DH will be giving a presentation and panel discussion at ARTBOOK @ Paper Chase Press; details for this event are TBA soon. Notes: PRIVATE CONSULTATIONS with DH/MVS to discuss your publication projects. Limited availability; appointments will be held Sunday afternoon and Monday morning and will remain open until filled. Darius Himes and Mary Virginia Swanson will be offering a limited amount of ½ hour and 1 hour private project consultations in the morning and in the afternoon, respectively, on Friday, May 27th. Enter a quantity of ONE (1) for a ½ hour consultation. Enter a quantity of TWO (2) for 1 hour consultation. Notes: Private Consultations with DH/MVS to discuss your publication projects. Limited availability; appointments assigned between 9:00 a.m. and 3:00 p.m. and will remain open until filled. We had a great crowd at our February seminar. Thank you to all who came out for the lectures and to the whole team at Art Center in Pasadena! 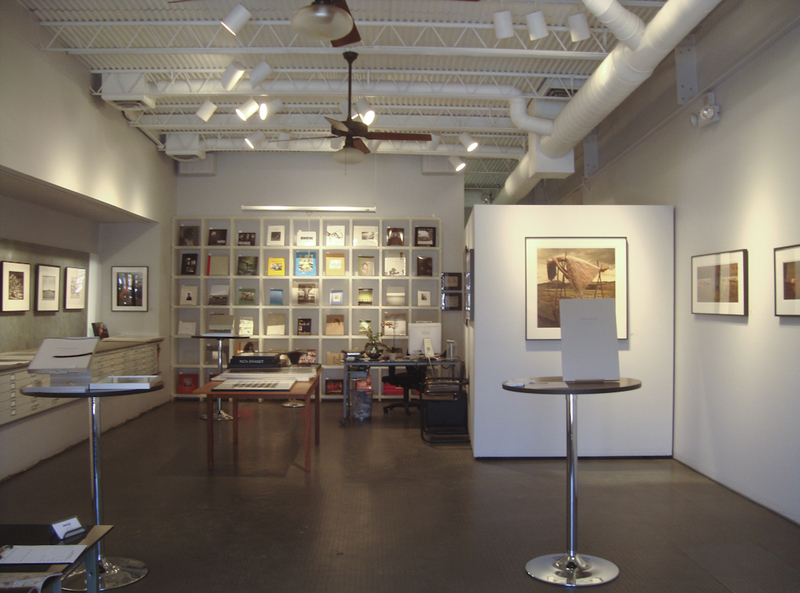 Once again, this summer Mary Virginia and Darius will offer their week-long workshop on photography book publishing in Santa Fe and the illustrious Santa Fe Workshops, from June 26 – July . The Workshops are handling all registrations; call 505 983 1400 to sign up! In April, Darius and Mary Virginia will be offering their Publish Your Photography Book all-day seminar in Santa Fe, NM. They will share resources from their forthcoming book and offer participants an in-depth overview of the publishing industry, from concept to editorial, design, production and on through the launching and marketing of your book. The all-day seminar strategically falls between two other events, all within walking distance of each other: Join us in Santa Fe for a great weekend of photography! Friday night, April 8th, the exhibition “EARTH NOW: American Landscape Photographers and the Environment” will open at the New Mexico Museum of Art on the historic Plaza. And Saturday night following the all-day Seminar, photo-eye Books will host the official book release party from 5:30-7:30 at their fabulous photography book store in the heart of downtown Santa Fe. All are welcome at both of these events! The Inn of the Alameda, a historic hotel one block off of Canyon Road, will be the site of the Seminar. They have reserved a block of guest rooms at The Inn at a discounted rate: $110, includes daily breakfast and happy hour, offered on April 7-11. Please call to reserve at 505 984-2121; ask for PUBLISHING SEMINAR RATE. Room reservations must be made by MARCH 8th to ensure this discounted rate! Himes and Swanson share resources from their forthcoming book and offer participants an in-depth overview of the publishing industry, from concept to editorial, design, production and on through the launching and marketing of your book. $195 includes a signed copy of Publish Your Photography Book. $175 for students. (Type “STUDENT” in the discount code field of the payment form). All students must present ID at registration. Notes: All-day Seminar: “To be Published or Self-Publish: A Publishing Primer.” Seminar runs 9:30 – 5:00. Seminar participants are eligible to register for ½ hour project consultations with Himes and Swanson. Limited number of time slots will remain open until ﬁlled. Notes: Private consultations. Limited number of time slots between 9am and 2pm will remain open until filled.